This award is passed around from author to author/other bloggers so that they too, can share their top five books. The idea is the old desert island thing; which five books would you take with you (assuming they’re in a water tight box). Having been set this challenge by my friend, the lovely Mr Mike Holley (check him out http://michaeljholley.com/about/ ) I have been in a terrible quandary all week. Five. I ask you – how on earth do I narrow down my long list of favourites to FIVE? Whatever I leave off will feel like a betrayal. It feels utterly wrong to NOT include something by Thomas Hardy, Jane Austen, Charles Dickens, the Brontës, John Irving, Ian Banks, Stuart Maconie, Bill Bryson, Margaret Atwood, Kate Atkinson, Rose Tremain, John Steinbeck, Lynley Dodd or Janet and Allan Ahlberg. Ok so Lynley Dodd and the Ahlbergs may not have written “novels” but they’ve produced some of my all-time favourite books OF ALL TIME. And probably the ones that I’ve read and re-read more than any others. If you have children you will understand. 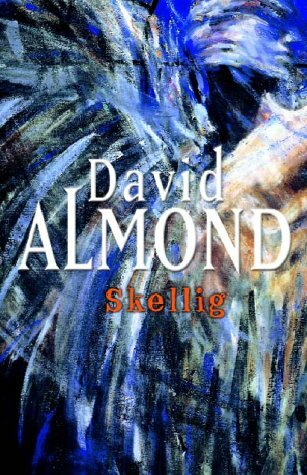 If you don’t, I urge you in all earnestness to read the entire “Hairy McClary from Donaldson’s Dairy” back catalogue and anything, no, make that EVERYTHING by the Ahlbergs. Anyway, I can only apologise to all of my literary heroes who didn’t make the cut today and will excuse myself by saying that it was too difficult to choose a particular favourite novel from their portfolio of masterpieces. I’m also assuming that I will be given the “Complete Works of William Shakespeare” as a “free pass”. I know they are plays and poems rather than “books” but I would throw my dummy out of the pram and not play at all if I couldn’t take that. And just like my nominator, if I were to think about this on another day I would almost certainly come up with a different list. But here goes … for the moment at least. “How predictable” I hear you yawn. The reason this heads my list and no doubt that of a very large percentage of the reading world is because the characters are beautifully, effortlessly realised and the story told simply and without artifice. Scout’s innocence and naivety perfectly counter the ignorance and prejudice. Poetic, amusing, even scary at times, it is ultimately deeply moving. 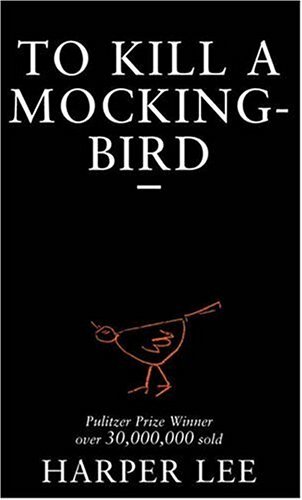 Atticus Finch is a contender for my favourite ever fictional hero, for his nobility, integrity and strength of character. What a role model. And in my opinion, Gregory Peck was perfectly cast in the marvellous film adaptation. If ever a book deserved the title “classic” this is it. I love it dearly. 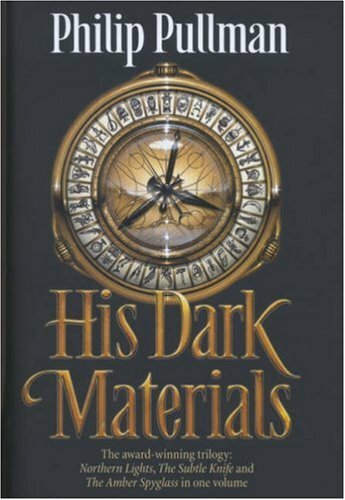 I was profoundly affected by this book when I first read it at the age of 17. I know it tends to divide people. There are many who dislike it because the main theme is depression and because nothing much happens. But I am deeply fond of this book because of the emotional punch it packs and the empathy I felt for troubled teenager Holden Caulfield when I was a similar age. He’s fucked up but I understood him and knew that I would be too if I had to go through the same things that he did. 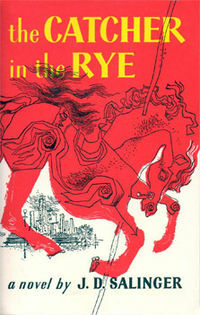 I think that Salinger does a brilliant job of getting inside the head of a sad and lonely young man. This actual Booker Prize winner is another that leaves me utterly stunned, with the lyrical beauty of the prose and the heartbreaking tragedy of the story. I love the sing-song language and the wonderful evocative descriptions of India in 1969. There are sections that are more like poetry than prose and I want to read them aloud to better appreciate the words. One of those novels that makes you despair of writing even a single sentence as beautiful. Read it and weep. I bought this book, without knowing anything about it, from Waterstones, in a temporary promotional section called “Life-changing Books”. I can’t say that it actually did change my life but it definitely stayed with me for a very long time after reading it (and much, much more that the two others I bought at the same time). A more contemporary setting than my other choices but with a brilliant, magical twist. I was riveted and devoured it in a single sitting. I was convinced that it was all going to end in tears and it did – but with less of the sad kind this time. Bloody brilliant. Ok so I’m cheating a teeny-weeny bit here but you do need to read all three books to appreciate the full splendour of the story. This was recommended to me by the young daughter of some friends of ours and I will be eternally grateful to her (thanks Ashleigh!). It may be aimed at children / young adults but the subject matter is anything but childish. Thrilling, philosophical, magical and emotionally strong stuff. I cried at numerous points, (have you noticed a pattern here?) even on a second reading a few years later. Whatever you do, do not be tempted by the film version (“The Golden Compass”) of the first book (“Northern Lights”). It looks beautiful but has little of the heart and (ironically given one of the main themes) none of the soul of the book. 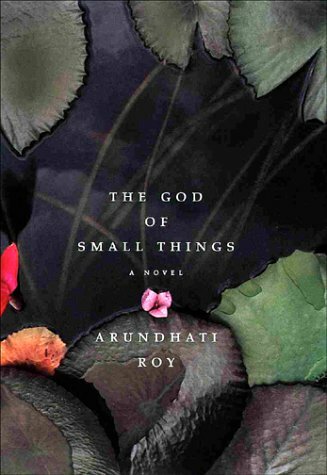 This entry was posted in Writing and tagged Arundhati Roy, books, David Almond, favourite authors, Harper Lee, JD Salinger, novels, Philip Pullman, reading on November 10, 2012 by LK Trowers. Congratulations!! A well deserved award! Oh! Did you know there is another Bartimaeus books out?! It’s called Bartimaeus and the Ring of Solomon! I just read it! It’s brilliant! Brilliant Lian. I’ve not read two of these so they shall be added to my list. Thanks. Couldn’t agree more with these books you’ve chosen. Skellig, TKAMB?! You read my mind! I suddenly feel nostalgic.